Get pregnant naturally. Avoid pregnancy naturally. L’ App Fertilité est maintenant disponible en français! http://app.knowyourfertility.netest un outil gratuit pour vous permettre de suivre votre cycle. L’App vous aidera à comprendre votre propre fertilité, vous permettra de prédire la menstruation à l’avance, même dans des cycles irréguliers, de même que de surveiller votre santé,vos hormones et vos émotions. Vous pouvez installer l’icône de l’App Fertilité sur votre écran d’accueil de la façon suivante: Lorsque vous utilisez le navigateur Google Chrome: télécharger l’App. http://app.knowyourfertility.net. Créez un mot de passe et un compte. Regardez dans le coin supérieur droit où vous trouverez 3 petits points empilés verticalement. Cliquez sur les 3 petits points. Vous verrez des choix. Cliquez sur Options. Ensuite, cliquez sur “Ajouter à l’écran d’accueil”. Cela devrait vous permettre d’installer une icône représentant une goutte d’eau bleue avec le mot “Fertilité” écrit en dessous. Lorsque vous utilisez le navigateur Safari: Télécharger l’App. http://app.knowyourfertility.net. Créez un mot de passe et un compte. Regardez dans le coin supérieur droit où vous trouverez une boîte avec une flèche orientée vers le haut. Cliquez sur la boîte. Vous verrez différentes options. Cliquez sur “Ajouter à l’écran d’accueil”. Vous devriez maintenant avoir une icône représentant une goutte d’eau bleue avec le mot “Fertilité” écrit en dessous, sur votre écran d’accueil. When using Google Crome browser: download the app from the link above. Look in the upper right hand corner for 3 little dots stacked vertically. Click on the dots. You will see some choices. Click on Options. Then click on Add to Home Screen. 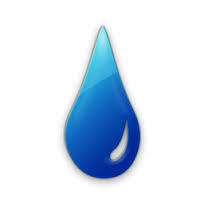 This should put the symbol on your home screen – a blue drop with Fertility written underneath. When using Safari: Download the app from the above link. Look in the upper right hand corner for a box with an upward-facing arrow. Click the box. You will see various options. Click on Add to Home Screen. You should now have a blue water drop symbol with Fertility written underneath it. FERTILITY App is now available in Both English or Spanish. LA APP, FERTILIDAD, ES AHORA EN ESPANOL O INGLES. Haga clic en Adjustes y seleccione Inglés o Español. (Se añadirán más idiomas.) Usando el app, puede conocer a sus períodos fértiles, predecir con exactitud la menstruación, y llegar a saber sus hormonas, emociones y salud. The hardest thing about self healing may be the necessary switch of allegiance from the medical establishment to natural remedies and our own intuition. If you can, or have already, made that switch, you will learn to treasure the following simple, although messy, remedy that will protect your loved ones from tumors of all kinds. Over the years I have seen this remedy work for myself, my friends, and my daughters. It gives me peace of mind that it will be passed on to my grand daughters. It will be best if you take on the task of making and applying the castor oil pack for your loved one – at least the first time. Have your “client” sit or lie down comfortably. Let’s say the tumor is on the breast. Make sure to have your client sit or lie on a towel or a water-proof sheet to protect your furniture. Also make sure they are wearing old clothes. Even though you are careful, some of the castor oil will certainly escape to unintended places. Cut a piece of old towel large enough to cover the breast and the area around the breast – liver area, lymph tissue under arm, etc. Saturate the cloth with castor oil and heat the castor oil-soaked cloth on a skillet. Turn it over with tongs until it is very warm but not enough to burn. Feel it carefully. The cloth should be warm and soggy, but not dripping. Carefully lay the cloth over the tumor and surrounding area, being careful the temperature is comfortable for the client. Place a piece of plastic over the warm cloth. I usually cut up a plastic bag for this purpose. Over the plastic, place a heating pad. Over the heating pad, place a thick towel to hold in the heat. Now, both of you relax, and have a cup of tea and chat, etc. You will want to keep the pack on the site for an hour. The new heating pads have a safety shut-off at 15 – 20 minutes. Therefore you will need to turn the heating pad off and on a few times to keep it warm/hot for the full hour. The above procedure should be repeated daily until the tumor is dissolved. I have seen breast tumors dissolve in 10 days, and huge uterine fibroids shrink to half size in two months. Tips: Frankincense essential oil is reputed to have tumor dissolving qualities, and so some women like to rub a drop of Frankincense oil on the tumor before beginning the castor oil pack treatment. According to herbalists, tumors indicate a lack of potassium. Tell your client eat their greens! A green supplement is also a good idea – alfalfa or barley powder. Swanson’s has a concentrated coconut water that is a potassium supplement. It tastes pretty good when added to juice or regular coconut water. While chatting with your client, make sure you take care of any unanswered questions about her body. Make sure she knows you love her. Thanks for being the Wise Woman in your family and community. 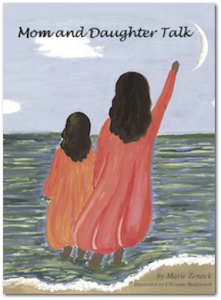 Mom and Daughter Talk - Now available as an eBook! Mom and Daughter Talk – Buy the Book! Women and the Pill – What we should know.